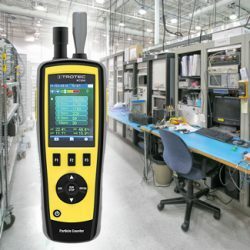 The Rapidox SF6 6100 Pump Back is a fully-automatic SF6 gas analyser, designed for controlling and monitoring the quality of SF6 in medium & high voltage gas insulated electrical equipment. 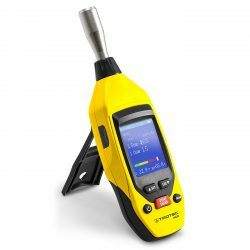 Exceptional accuracy and stability are provided when measuring SF6 gas purity of the gas, through specially selected sensors. 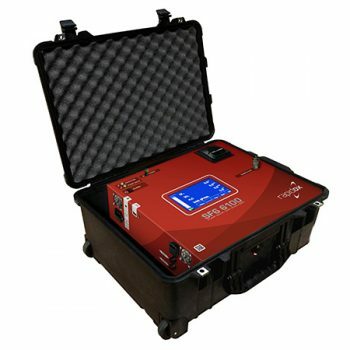 Once connected, the Rapidox SF6 6100 Pump Back samples gas from the electrical equipment automatically or manually, with an inlet auto gas pressure sensing function. A vacuum purge cycle and gas storage system ensures that no air can contaminate the gas sample and that no SF6 gas is able to escape during the testing period. SF6 gas pressure in the internal sample compartment is recorded and logged by the analyser. All measured gases are analysed and data-logged simultaneously with only a few minutes required to achieve a stable reading. A powerful 10 bar compressor, with a separate lithium battery power supply, then returns the gas to the electrical equipment at high pressure. 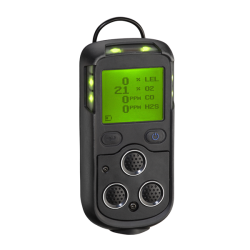 Other measurable gases can include H2O (dew point), SO2, HF, CF4, H2S, CO & Air. Due to the modular design, a number of configurations are available in order to suit a variety of application requirements.